We have e-mail, cell phones, and Instagram. But some of the fondest memories in life are reserved for face-to-face time with those we love. That's why intentional dads Greg Wright and Rob Teigen decided to really get to know their daughters-their likes, dislikes, concerns, fears and passions-by taking them out for regular father-daughter dates. Greg, Rob, and Rob's wife, Joanna, tell how these special one-on-one times have increased the family fun and have built a bridge to their daughters' hearts that will last well into adulthood. Bob: One of the reasons that Joanna Teigen wants her husband Rob to take their daughters on dates is because Joanna remembers some of the special times she and her daddy had when she was a little girl. Joanna: One of the dates my dad had done with me called “Catch a Falling Star”—waking me up about two in the morning, saying, “Hey, do you want to go to the meteor shower with me?” We’d drive out in the middle of nowhere and threw a blanket on the hood of our big, old station wagon, and just laid there, and looked at what was going on up in the sky. I’ll never forget that—really won’t. Bob: This is FamilyLife Today for Friday, February 5th. Our host is the President of FamilyLife®, Dennis Rainey, and I’m Bob Lepine. We’ll talk today about what daddies can do so their daughters have unforgettable memories. Stay tuned. Bob: —five or six, dressed up like Batman. And that’s on my daughter-in-law’s refrigerator at their home, right now. She posted that on Instagram® yesterday. The reason I brought it up is because it’s been interesting, to me, to see how the advent of social media—Facebook®, Twitter®, Instagram, these kinds of things—have made connecting with your kids—there’s kind of a new dimension to connecting with your kids with some of these tools. But it’s a different kind of connection than you used to get when you were side by side or face to face. Dennis: Yes, you can send pictures / you can send notes and texts to your son or daughter; but there is a connection that can only be had—face to face / arm in arm—especially, with our daughters. And I’m speaking about daddy-daughter dates. Some of my fondest memories, as a daddy, are having my daughter, arm in arm. I’ll never forget coming back from a date, one time, with one of my daughters—this was back before the seat belt laws were so rampant. I know this is dangerous, and I know there are all kinds of people that would like to write me and rebuke me for being an unsafe daddy [Laughter]—but we had a bench seat in this old Rambler station wagon. One of my daughters was right there—and she was standing right beside me, tucked in under my—underneath my shoulder with her arm around my neck / head leaned on my shoulder—and the glow of that green light of that old Nash Rambler. Some people are wondering, “What’s a Nash Rambler?” But that used to be a vehicle. Bob: So, that excuses it? Greg: That means she couldn’t sit still because she was all hopped up on sugar. I thought: “Well, maybe it will be the smorgasbord where we just hit the dessert tray. We didn’t even mess with the meat, [Laughter] and the veggies, and everything.” She said—didn’t say anything of that stuff. It wasn’t Bambi that we watched at the movie there; but she said, “Just being with you, Dad—just being with you.” She patted me on the shoulder. You know, that’s what it’s about. It’s connecting, heart to heart, and soul to soul with your daughters. Dennis: —and the other, 88 Great Daddy-Daughter Dates, by Rob and Joanna Teigen. Welcome back. Bob: And I just have to start off here. Can you—do you still go on dates with a 19-year-old daughter? Greg: Just went on one on Sunday night, actually. Bob: I mean, she’s not going: “Okay; Dad, I’m kind of over this. I’m—”; you know? I don’t know that there is a termination period on daddy-daughter dates. I don’t know that you finish doing that. I think it just becomes more difficult perhaps, but I think you just keep going with that. Dennis: —because my daughter, Ashley, who is our first-born, who only lives 90 minutes from our home—the other day we were talking—she said: “Daddy, we were going to go out on a date again this year. It’s been a year since you and I have been out on a date.” We met in between—about 45 minutes in between—go out to dinner—and really just fire up the relationship. Dennis: —but you have to continue to pursue them. Bob: So, what was your most recent date with your 19-year-old? What did you do? Greg: Well, we met at a little place called Opal Divine’s in Austin. It’s just this cool little vibe joint. We sat and had a sandwich together. But that was the night that we just needed to spend eyeball-time. And so, Sunday night was just a very low-key connection night. We just needed to get, eyeball to eyeball, and that’s exactly what we did. Dennis: Anytime you set an objective like this—of having a date with your daughter—there’s going to be obstacles. Things come at you from all different angles. Rob, you talk about this in what you’ve written as well. 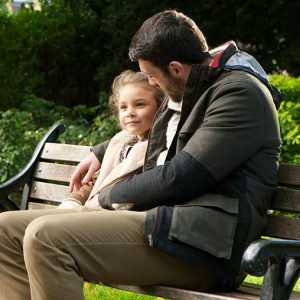 What are some of those obstacles that dads have to overcome if they’re going to have a relationship with their daughter? Rob: Yes, I think there are several obstacles that we can let get in the way of that connecting relationship with our daughters. One is, I think, our past—you know, whether we didn’t have a great role model in our life or struggling to figure out this whole thing—and so, we just kind of pause and wait. It’s really hard, when you’re constantly looking in the rear-view mirror of your life, to see what’s happening in the present and have hope for the future. I think the other obstacle could be entertainment—kind of mistaking entertaining instead of connecting or taking it as connecting. I think we, as men, tend to connect by doing things. We go to the football game / we go to the movie. Sometimes, we get so wrapped up in watching the thing in front of us, we don’t see the child sitting next to us. So, being mindful of that and not making that all the dates. And I think the technology that we have today is another—I see this even—we’ve got a Wii™ game at home. All my daughters have DS™ games. When we play the Wii, we’re interacting—we’re having a blast. When my daughters are on their DS games, they’re in the corners—each, in their own corner—I’m doing my thing. There is no connection / there’s no interaction. So, I think being mindful of that, too—that technology is a good thing, but it can also drive us apart from connecting with our families. Greg: I think Rob touched on something that is super important. I want to communicate this, just as a regular guy. 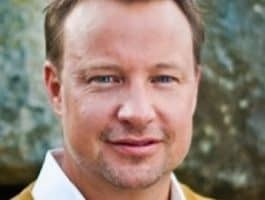 There may be some guys listening that—maybe they have really blown it with their kids, or they’ve blown it with their lives, or blown it with their marriage, or blown it with their job—or whatever it is—and they just feel like they are the worst possible candidate to keep parenting these kids. Maybe, you’ve got a teenager that won’t talk to you, and you’ve really blown it in that way. I was reading Genesis 38 this morning—it was kind of a funny moment in my daily reading. I was reminded that if you look at Genesis 37 and you look at Genesis 39—and you pull out 38—the two line up perfectly, like there is no scene missed there. God just throws this weird Judah/Tamar story in from out of nowhere. It’s got nothing to do with the end of Genesis, and it’s a horrible story. It’s this ridiculous, pathetic, “Dear God, why are You telling this story? It doesn’t—it’s not even germane to the end of Genesis.” It’s just about Judah really making some horrible mistakes with Tamar, and all the stuff that happens with that; but there’s a hint of encouragement there. I feel like God is always picking the wrong guy. I feel like church culture would pick the best person—who has this kind of pedigree and this kind of a resume—but God always picks the worst guy possible for some of the coolest stuff. David was a knucklehead, for crying out loud—and he chose David to be this really amazing guy. And he was still a knucklehead—had a guy executed and slept with his wife—for crying out loud. I mean, there is all this craziness going on. Dennis: Greg, I’m glad you brought that up because this book, the Bible, is all about redemption. Dennis: —and using them for His purposes; but to your point, you’ve got to get in the game. You have to decide you’re going to risk it, and venture out, and try it. I’m glad you mentioned that your daughter may be in her 20’s, 30’s, or 40’s because we might have a listener, who is listening right now, who feels like he has so fouled up, back then, that there is no redemption now—that’s a lie. That’s a lie. It’s never too late to do what’s right. One thing I want you to comment on, Rob—when you go out with your daughter, you’re really training her in what she ought to expect from a young man, when she goes out later on; right? Rob: Absolutely. And the dynamics of that in our marriage relationship—how she sees me treat Joanna is a big part of that as well—but everything I do models to her how she deserves to be treated/respected—the attention she deserves to have. She is my princess; and so, she does deserve to have a guy who is attentive to her every need, in some respects. I want her to see that. I want her to see how important she is. The message that keeps kind of coming up is, “Be known.” You know—Psalm 139 talks about, “Search me, O God, and know me.” God knows us; and we all have that desire, in our hearts, to be known. Ultimately, that desire is from—to be known by God and to know God. But as Bob was saying, we’ve been put on this earth, as fathers, to represent God’s goodness to us and our Heavenly Father—our perfect Heavenly Father. Our daughters desire to be known. When we get in that relationship with them, we want to get to know who they are and let them know that they are important. Bob: Greg, I’m guessing that your 19-year-old maybe has been on some dates with somebody other than you, by this point? Greg: And there was no gun cleaning of any kind. It was just more of a—just a sit down and talk. So, I sat down with the two of them and said: “Here are the guidelines. I’m willing to let this happen. I’m willing to let you pursue each other, but here are the rules.” And kind of laid out some basic one-, two-, three-step kind of things and what I intended it to look like. When the moment was right, I asked my daughter to excuse us. So, she stepped away. And so, Junior and I got a chance to talk for a minute. [Laughter] In that moment—bless his heart—he’s a big, old, strapping guy—has a football scholarship. He’s sitting across this table, and he never looked so small. We were talking; and I just said: “Listen. I just need to ask you a question. I need to know: ‘What are you going to do to join me in this fight to protect my daughter and protect her virginity? I want to know what your plan is about that.’” The oxygen left the room. He just—somebody just needed to get him a bottle of water and get a brown paper bag to get his breathing started again. Greg: “So, you’re a thinker! That’s great!”—you know? Dennis: I ultimately put that in a little book called Interviewing Your Daughter’s Date. Bob: It’s Mr. Potato Head—I don’t know who drew it, but it was Mr. Potato Head. Dennis: Yes; that’s a great idea. Joanna, we’re all laughing about this and talking about how daddies can really develop a relationship with their daughters. There are some listeners, right now, who are single moms, raising daughters. They don’t have a daddy to date their daughter. What can they do? Joanna: Well, I think you have to really just go on high alert and look around. You know, make sure you are a part of a supportive community where there are men that you can reach out to—pray really hard that God raises up someone that has a heart for your child—definitely. Or if your daughter has a really good friend, whose parents’ household you can admire and trust, put yourself out there and ask if they’ll involve themselves with what’s going on. Dennis: —just because they go to church—but there may be that special person—who you really do know them well—and it really can be a winning idea for your daughter. Rob: Yes, and I think—just to add to that—we, as dads, that are trying to do this—many times, imperfectly—but as we’re trying to do this, keep our eyes open for how we can come alongside each other. When I listen to Greg and Dennis—you talk about what you are doing with your daughters, as they were older, I’m taking notes. So, being supportive—and even from a dad, who is trying to connect with his daughter as best he can—to be mindful of those dads around there who may be / or those moms that maybe are looking for somebody to come alongside and encourage their kids. Bob: Joanna, I grew up in an era where dads tended to be more disengaged from the kids—tended to be providers and that was about it. Bob: I’m just wondering if you have recollections of being dated by your dad—if your dad was a dater—if you have any fond memories of that. Joanna: I do. We were in a unique situation because my dad went back to college when I was only six. So, he was probably around the house more doing homework while most dads would be off at the office or whatever. Joanna: —and just laid there, and looked at what was going on up in the sky. I’ll never forget that—really won’t. --and not always, constantly having to be on the go and having to go somewhere to connect with one another. Now, I’m going to give each of you the opportunity to share your favorite date with our audience because I think they need some ideas / some additional ideas of what this looks like. Dennis: And she is how old? Greg: She was probably—she was sub-ten—so, probably, eight or nine, somewhere around in there. I pick her up in the car. I happen to know her favorite food was shrimp. She thought that was just the coolest invention that God had ever made—and it’s pretty cool. So, I picked her up; and we went to a shrimp place—got her some shrimp. Then, after we finished that, her big thing was book reading. She’s just a reader—she’s a huge reader. I took her to Barnes & Noble—we went to the children’s section. We just read books together, sipping hot cocoa, and just letting her read a page / then, I would read a page. Then, we’d just find funny books. The short ones were the best ones. We had a great time. What Rob was saying is—kids want to be known. The best way to do that is to give them a place to be known by presenting your two ears to them, closing the lips, and just letting them say what they say, and think what they think, and be who they are. It will be virtually impossible for a kid not to dig you if you just do that. Rob: Yes, I would say one of my favorites was with my youngest. I think she was about seven, at the time—she’s nine now. It was “All about You” date. This is a simple date—but we just took a poster board at our home—and we got a bunch of magazines. We cut stuff out all about her. I learned all about her favorite foods, her favorite places to go, where she would want to travel. Bob: Joanna, what stands out for you? —and setting up the tent, and planning the food, and gathering all the games they are going to play out there in the dark with the flashlight. And then, Mom doesn’t have to sleep out there—which is a wonderful thing. [Laughter] So, they get this really fun outdoor experience with kind of unlimited, open-ended amount of time to spend with Dad until they fall asleep—but really, a little bit out of the box from their normal routine. Dennis: That’s cool / that’s fun. Bob: It’s just an example of what you guys have done for us in the books that you’ve written, where you share some of what you’ve used—some of what you guys have done with your own daughters as you’ve dated them. Let me just mention to our listeners, Dennis—that we have copies of the book, 88 Great Daddy-Daughter Dates, by Rob and Joanna Teigen and the book, Daddy Dates, by Greg Wright. Both books are available in our FamilyLife Today Resource Center. Go online to FamilyLifeToday.com, and you can order either or both of these books. Again, the website: FamilyLifeToday.com. Or call, toll-free, at 1-800-358-6329. That’s 1-800-”F” as in family, “L” as in life, and then the word, “TODAY.” And you can order a copy of either or both of these books. And I want to thank Rob—you and Joanna—for being with us and Greg, you too—for just sharing your passion for helping dads and exhorting them to connect with their daughters because I think that’s a worthy objective and goal of every dad—that he needs to assume. Thanks for being on the broadcast. By the way, we want to say, “Congratulations!” today to our friends, Lance and Christa Troyer, who live in Alliance, Ohio, right outside of Cleveland. They are celebrating their 16th anniversary today—16 years of marriage. They listen to FamilyLife Today on WCRF out of Cleveland. We, of course, we are the “Proud Sponsor of Anniversaries,” here at FamilyLife Today. We’re celebrating our 40th anniversary as a ministry this year. Really, it’s not about our anniversary. It’s about all of the anniversaries that have happened, in part, because of how God has used the ministry of FamilyLife in the lives of so many couples. So “Congratulations!” to the Troyers as they celebrate number 16 today. We have some ideas and some thoughts for all of you about how this year’s anniversary for you could be your best anniversary ever. Go to FamilyLifeToday.com and give us your anniversary date. We’ll get in touch with you with some pre-anniversary ideas on how you can celebrate this year—we have some thoughts for you about that. Again, go to FamilyLifeToday.com and share your anniversary date with us. And with that, we have to wrap things up for this week. Thanks for being with us. Hope you have a great weekend. Hope you and your family are able to worship together in church this weekend. I hope you can join us back on Monday when we’re going to hear from our friend, Alistair Begg, talking about why marriage really is important. It’s a great message that he shared recently at the FamilyLife I Still Do® one-day event that we hosted a few months ago. We’ll hear from Alistair Begg on Monday. Hope you can be here for that. I want to thank our engineer today, Keith Lynch, along with our entire broadcast production team. On behalf of our host, Dennis Rainey, I’m Bob Lepine. Have a great weekend. We will see you back Monday for another edition of FamilyLife Today. Greg Wright is the author of Daddy Dates: Four Daughters, One Clueless Dad, and His Quest to Win Their Hearts. He is the president and founder of The Wright Track Consulting Co., has traveled the country working with businesses as a motivational speaker, corporate sales coach, human resource analyst and business growth specialist. Greg and his family live in Austin, Texas. 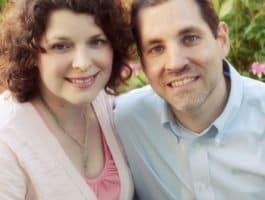 Rob and Joanna Teigen are the authors of 88 Great Daddy-Daughter Dates, A Dad's Prayers for His Daughter, and A Mom's Prayers for Her Son. Rob is also the author of several joke books, including Laugh-Out-Loud Jokes for Kids (under the pseudonym Rob Elliott). The Teigens are the parents of a son in college, a son in preschool, and three beautiful daughters in between. Their family lives in West Michigan.